>> 2-5 September, 2016 (Boston MA, USA). The third conference of the World Interdisciplinary Network for Institutional Research (WINIR) will provide a forum for leading scholars to advance the ongoing conversation about the key issue of « Institutions and Human Behaviour » and other key issues in the growing area of institutional research. It is now widely accepted that institutions, broadly defined as systems of established social rules, play a major role in explaining human behaviour. 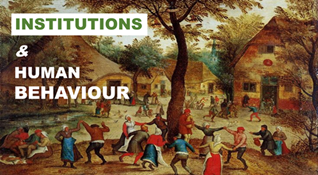 Although scholars generally agree that institutions coordinate human behaviour and to a certain extent mould it into recognizable patterns, there is much less consensus regarding the precise mechanisms involved. We also have yet to fully understand the ways in which alternative rule systems and behavioural patterns emerge, persist and evolve to create our complex social systems. Theoretical and empirical research into these important topics needs to draw on insights from multiple academic disciplines, including anthropology, economics, ethnology, history, human geography, law, linguistics, management, philosophy, politics, psychology and sociology. Abstract submissions about institutions (or organisations), and/or institutional thought from any discipline or theoretical approach are welcome (300 words max.). Unconfined to any single academic discipline or any particular methodology, WINIR accepts contributions from any approach that can help us understand the nature and role of institutions. WINIR aims to promote creative conversations across disciplinary boundaries in order to build an adaptable and interdisciplinary theoretical consensus concerning core issues, which can be a basis for cumulative learning and scientific progress in the exciting and rapidly-expanding area of institutional research. Submissions will be evaluated by the WINIR Scientific Quality Committee: Peter Boettke (George Mason University, economics), Simon Deakin (University of Cambridge, law), Geoff Hodgson (University of Hertfordshire, economics), Timur Kuran (Duke University, economics), Uskali Mäki (University of Helsinki, philosophy), Katharina Pistor (Columbia University, law), Sven Steinmo (European University Institute, politics), Wolfgang Streeck (Max Planck Institute Cologne, sociology). >> For more information, please visit the WINIR website at www.winir.org or follow WINIR on Twitter @winir2013.